When choosing best keywords to target for a company website it’s important to note that this is the first vital step of SEO. Optimizing a site for the best keywords will convert leads and increase sales when done right. Finding the most used keywords on a businesses website is where it all starts. Our Long Beach optimizer likes to say “you can’t optimize a site if you don’t know what you’re optimizing for”! Choosing best keyword phrases takes time but once complete will uncover the golden nuggets that are the keys to opening the door to increased traffic and conversions. By having a top first page ranking on Google, Bing and Yahoo for those researched phrases gives a company’s website a boost. To break down the 1st page of Google the #1 spot gets 55% of all the searches for that phrase. That means half the people searching are entering this site. The #2 ranking website for the same phrase gets 20% of the traffic and #3 gets 10%. If a site ranks at the bottom of the search results traffic drops to 3%-5%. This is why choosing best keyword phrases is critical. If the site is not found it’s not getting traffic. Another saying our marketing crew says is “Where’s the best place to hide a dead body? On the 2nd page of Google because nobody ever looks there”! This one reason is why so many companies invest heavy into keyword research and SEO because of conversions and lasting effects when done right. When it comes to finding the top keyword phrases for a website it’s not about quantity it’s about quality. Quality and original content on a site is a direct reflection of how it ranks. Choosing the right keywords and how to use them in site content is a huge keyword ranking reason. The person that reaches a site via a SERP (Search Engine Results Page) when the site comes up in the top results is a perfect match. This online generated lead will have a higher conversion rate compared to traffic coming to a site that ranks for a non or less relevent keyword phrase. Just another reason choosing the best keyword phrases is important. Choosing best keywords tell which search phrases have the most value to a business website. 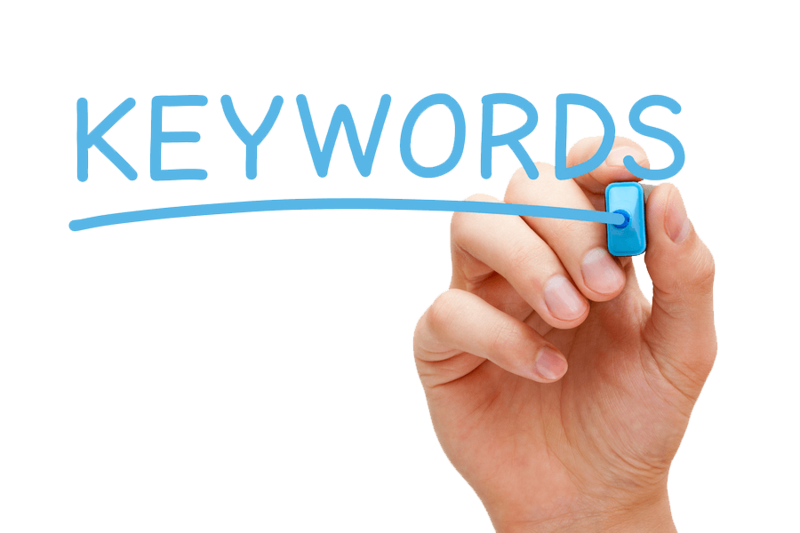 Will it be difficult to get a sites chosen keyword phrases 1st page ranks with a SEO optimized website? One way to answer this question is to do a search on Google for a term that relates to what a company offers. When choosing keywords always note what other sites on the first page are choosing to target as well. If there are multiple listings for the same websites then the difficulty achieving a ranking for keywords for this search is low. This is because Google would rather have 10 different websites on that result. When multiple pages for the same website show up on the first page this means Google is struggling to find relevant sites to place in the top 10 results. If choosing best keywords before a new site goes live this makes sure the website will not miss relevent traffic. Choosing best keywords that competitors use via a Google search for one of the best keyword phrases and look at the ads at the top and sides. If there’s only a couple of ads then there’s not many sites competing for that keyword phrase. If the search result gives results with lots of ads then that’s a good sign that the keywords chosen to target have value. This is because the advertisements displayed on the search means companies are spending money to have them displayed. If a website naturally ranks on Google for that same keywords all the traffic generated is free. It’s safe to say that choosing desirable keywords to target has value. Need more info on keyword research and choosing the best phrases for your website contact Ace Mod at our Long Beach office today.